Getting that FAB vacation glow is safe and easy when you use a good gel bronzer. The goal of using a bronzer is to get a tan that is subtle and natural looking and doesn't look like it came from a tube. Most of the bronzers that I've tried from the men's lines were too dark and left that "carpet doesn't match the drapes" look. So this is one of those times where I head for the the ladies counter. 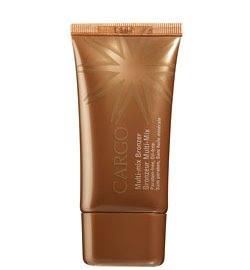 The absolute best gel bronzer that I found is CARGO's Multi-mix Bronzer and I believe this product should be unisex but it is carried only in the women's section. Use it alone or mix it with a moisturizer to get the best shade of tan that works for you. 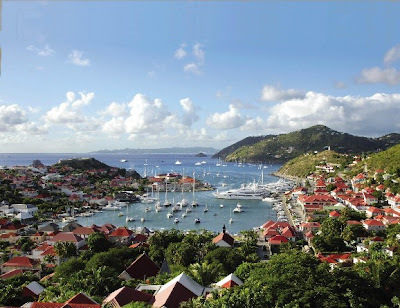 You may not feel rested but with this bronzer you'll look like your passport has a new stamp that says "ST. BARTHELEMY"